This Friday is Josh’s birthday. Josh loves to fish. Josh enjoys scotch. 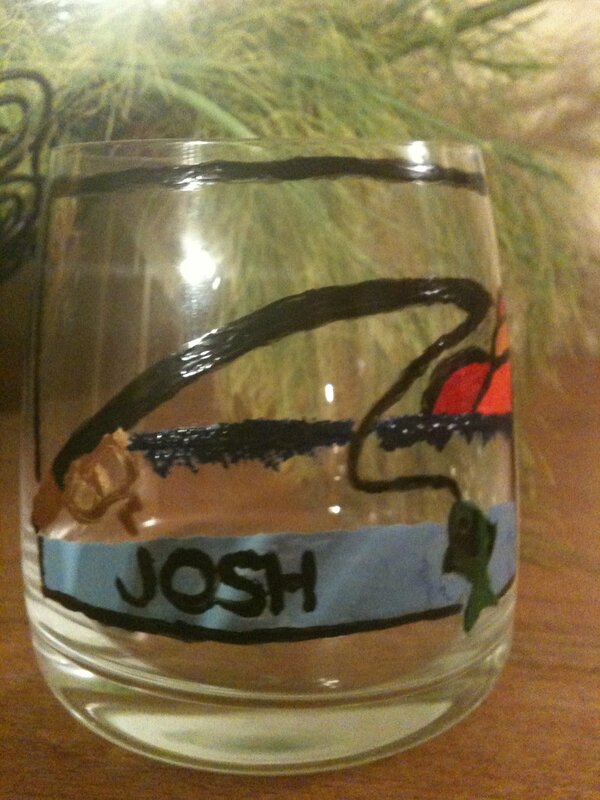 We love Josh, so I made him this scotch glass with a fish painted on it. It’s a mere symbol of what Josh means to us. You see, he deserves the “World’s Best Dad” coffee mug. A whole cabinet full of them, but this will get more use. Stepdad to Tristen. Dad to Sawyer. Father figure to Ava. Thanks for taking Ava fishing. Thanks for listening to her music. Thanks for walking around with the pen she gave you in your shirt pocket. Thanks for taking her shopping for the best guitar. Thanks for playing drums to her guitar. We raise this glass to you. Happy birthday, Josh! awwww. weeeepy girl here. This is PERFECT, thank you!! made you weepy two weeks in a row. i’m so WINNING! 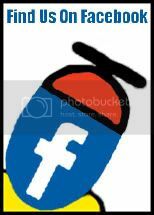 Hey nice work! Love it!